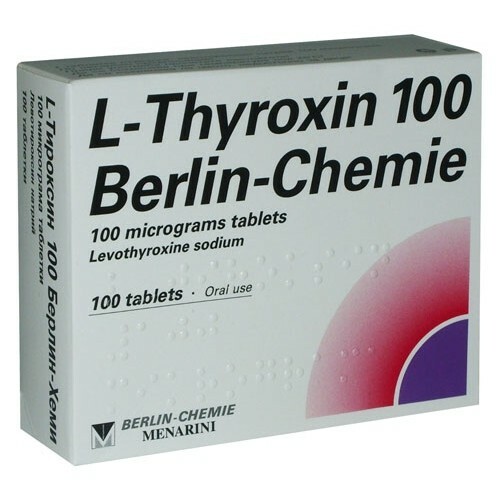 Levothyroxine sodium is an excellent fat burner since your metabolism is greatly increased while being on it. You can afford to be a little sloppier on pre-contest dieting since it will still burn fat when you are taking in a lot of calories since your metabolism is going haywire. 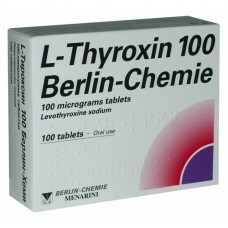 T4(L-Thyroxin 100) is a synthetic thyroid hormone (Type T-4). This product usually comes in bottles of 100 tablets at 100 mcgs each. It is available in a variety of doses though ranging from 5 - 100 mcgs. per tablet. Bodybuilders love this product for many reasons. This product is an excellent fat burner since your metabolism is greatly increased while being on it. You can afford to be a little sloppier on pre-contest dieting since it will still burn fat when you are taking in a lot of calories since your metabolism is going haywire. Step over Ripped Fuel, E/C/A stack, Thermodrine. When taken with Clenbuterol, this is the single best fat burning combination that is available today (with the possible exception of DNP). It also helps to make steroids more effective since it is such a good aid for protein synthesis. Most people need to be careful to start with a low dosage, about 50 mcgs. per day and increase by about one tab or 50 mcgs per day every 5-6 days. Make sure that you don't go over 100-200 mcgs. per day at the very most. On days that you take multiple tabs, divide the tabs evenly across the day (i.e. 200 mcgs. would be 4 doses of 50 mcgs. apiece spread evenly across the day.) You also need to make sure that you cycle down off this product as well to keep the thyroid functioning properly as well. Don't take for more than 5 weeks at a time as well. After doing a cycle of this drug, make sure you go at least 8 weeks before doing it again as to allow normal thyroid functioning to return.